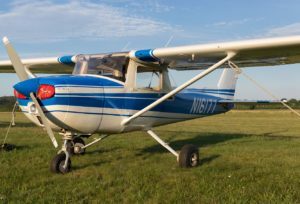 The dependable Skyhawk is the standard for aviation training and cross-country traveling. 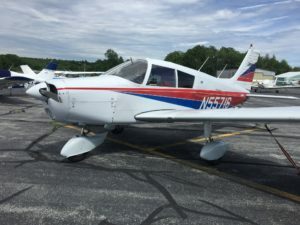 Our Skyhawk is IFR equipped and has the Penn-Yan 180HP SuperHawk Conversion so it can operate from almost any airport and carry four adults plus fuel and bags. It cruises 130 MPH and has a 500 mile range. The Cherokee family is known for easy, smooth flying qualities and makes a great platform for Instrument Training or Cross-country flights. Ours is equipped with a Garmin GNS430W for instrument approaches down to 300 feet at many airports thanks to GPS WAAS precision. 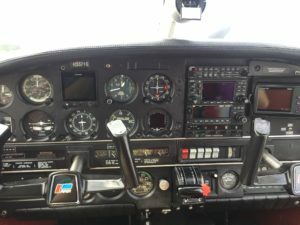 It has two additional GPS units and a Garmin G5 electronic attitude indicator which make for a great introduction to glass cockpit technology. It cruises 125 MPH and has a 600 mile range. 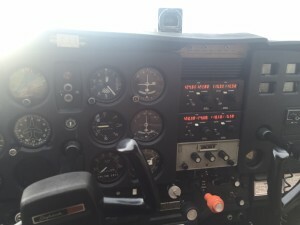 The Cessna 150 is the best training aircraft ever developed. It has created more pilots worldwide than any other airplane. 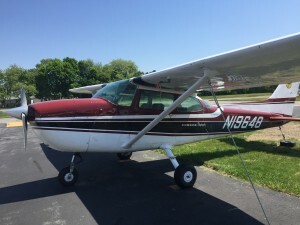 Our C150 is a very low-time original airplane with newly overhauled 100 HP Continental O-200 engine. Perfect for building experience and short cross-country flights with friends once you get your pilot’s certificate! The C150 carries two adults plus fuel and bags. It cruises 100 MPH and has a 500 mile range.